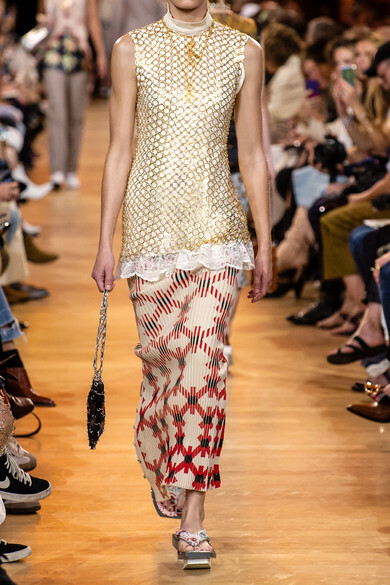 Paco Rabanne's Spring '19 collection imagines the traveling wardrobe of a glamorous, bohemian '70s heroine. 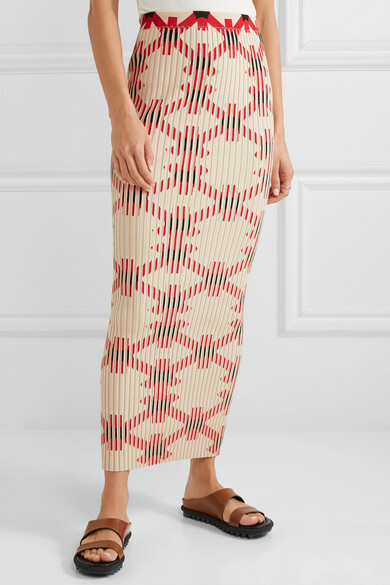 A piece that the muse could have picked up in a Moroccan bazaar, this maxi skirt is knitted from soft cotton-blend that's tightly ribbed to accentuate the figure-hugging fit. 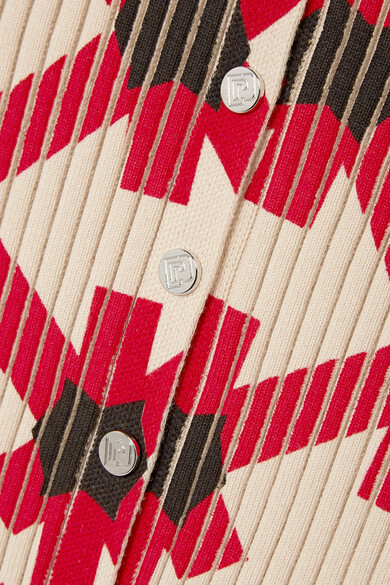 It's printed with an abstract linking pattern in a nod to the label's signature chainmail. 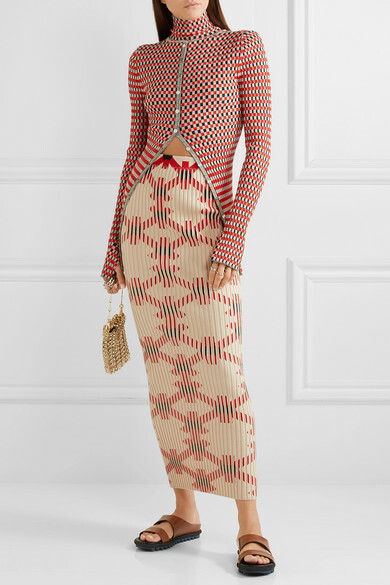 Shown here with: Paco Rabanne Top, Paco Rabanne Shoulder bag, Dries Van Noten Slides, Charlotte Chesnais Rings.